Okay, people: The holidays are right around the corner and while some of us may have already finished shopping (we do know some diligent Black Friday shoppers) others may still be scrambling for the perfect last-minute holiday gift. We know how hectic life can get but after speaking with some nurses, we realized that you don't have to worry. 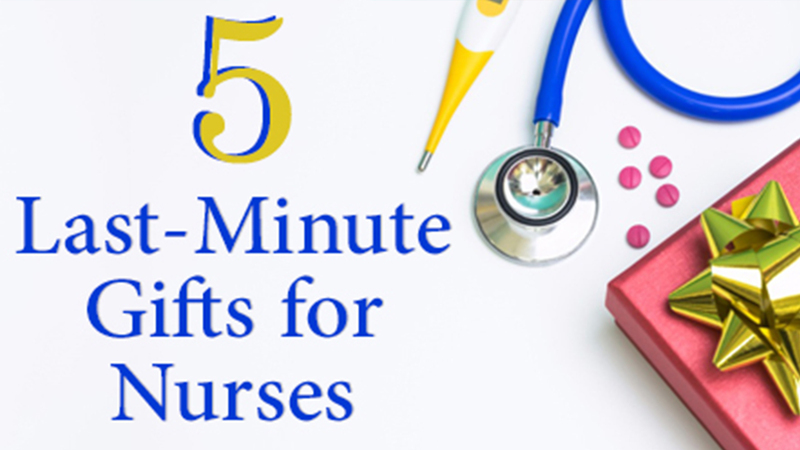 There are some pretty cool and regular gifts that you can give to your favorite nurse - and no, they don't always want nursing themed items. Who doesn’t love a relaxing massage, facial or even a stress-free manicure? Let's face it, nurses barely have time to unwind and pamper themselves so surprising them with the gift of relaxtion is one gift that every nurse deserves. After tending to others all day, a nurse could really use a relaxing atmosphere to decompress and relieve tension which will improve their personal wellbeing and ability to care for patients. You can purchase a gift card or e-gift card from SpaFinder.com or MassageEnvy.com. Nursing is a lifelong learning process and nurses can never learn everything they need to know from nursing school. Nursing CE or CEUs are a popular and easy way for nurses to stay on top of the changes of techniques, advancements in technology and new information. As vital as CEUs are to nurses, they sometimes forget to fulfill their requirements until the very last minute. You can take care of this and ease your favorite nurses mind by giving them the gift of professional development. For only $39, nurses can take unlimited CE courses at NursingCE.com and complete the state requirements necessary to maintain their license. And you can sweeten the deal if you choose to check out with the $59 option, which gives you a $20 Amazon.com gift card (every nurse can use an Amazon gift card to pick out some new nursing gear). Ok, we tried staying away from gifts that were strictly related to nursing as a profession, but we couldn't resist the Prescription Coffee Mug. This is a great gift for anyone that needs that caffeine boost and with as many cups that nurses go through in a day, we thought that this mug would add a cute twist to their day. By nature, a nurse’s job is a very physical one. They are on their feet for ten-plus hours a shift, shuffling around heavy equipment, lifting and assisting patients and taking emergency calls across an entire hospital. A Fitbit is the perfect way for any nurse to keep track of their own physical fitness and personal health. Sometimes it can be very hard for a nurse to relax after a long shift. Giving them portable essentials oils might be just the thing they need to unwind or relieve a tension headache as they can unscrew the top and take a quick breather for instant relaxation.